Dennis joined Huron City Schools in July of 2013. He earned his bachelors degree from Bowling Green State University and masters degree from Cleveland State. He is pursuing a Doctor of Education in Leadership Studies at Bowling Green State University. 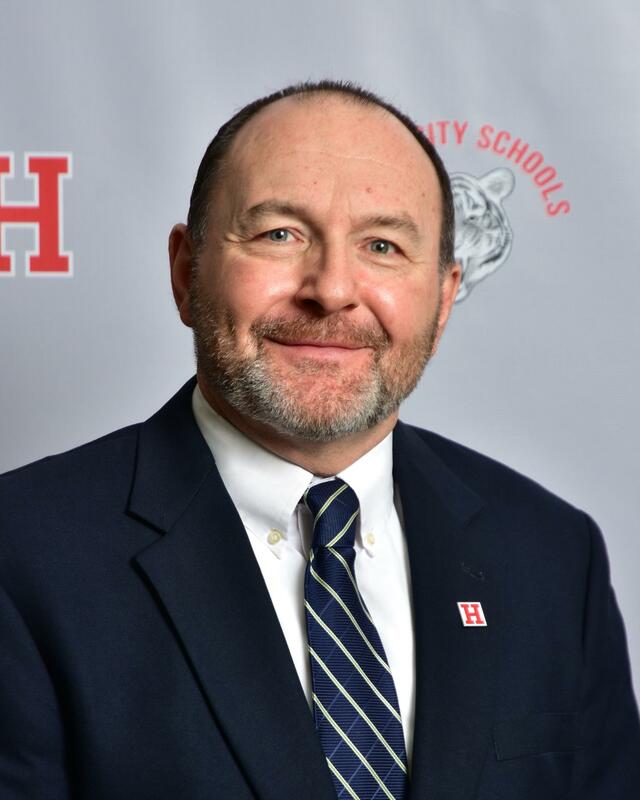 Dennis has served as a teacher, junior high and high school assistant principal and athletic director, high school principal, and assistant superintendent. As an educator his focus is to ensure every student is exposed to educational experiences that will afford them an opportunity to be fully capable of achieving success, both personally and professionally, in the highly competitive 21st century. Dennis is married to Rebecca who is an elementary principal in the Sandusky City School District. They have 3 children, one-daughter and twin boys.